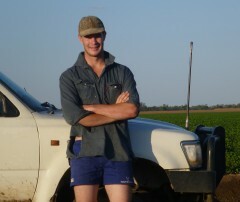 A New Member To The Mustering Crew? On Friday I was lucky enough to be able to go for a burn in a gyro and I have to say it was the most fun I’ve had in a while, by the time we landed I had a ear to ear grin that would have rivalled the Jokers. So what is a gyro and why did it leave me so excited? 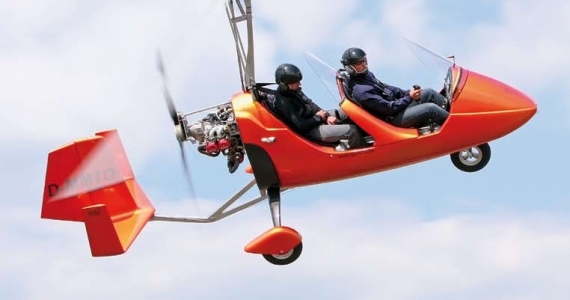 A gyrocopter (also known as autogyro or gyroplane) looks like a cross between a plane and helicopter, the power provided by the rear mounted engine powered propeller while the lift is generated by the free spinning rotor. 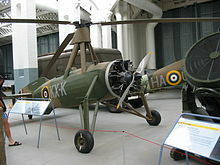 Today’s gyro’s have evolved into thier own type of aircraft, they are a far cry from old “build Sunday crash Monday home builds and even further from their distant 1920’s ancestors that looked like a mongrel cross between a helicopter and a plane. While today’s gyro’s may look a bit like a helicopter it flies and handles more like a fixed wing aircraft in the air but it there are some key differences, particularly during take off and landing. During the take off roll you start with the stick fully back and slowly push it forward to keep the nose just off the ground it gets airborne, on landing is different in that you land with a very steep approach and very little speed due to stall speed of zero. These characteristics give it some advantages over both helicopters and fixed wing aircraft that may be of use in agriculture and farming. The gyrocopter that I flew in was the MTO Sport by the German company “Auto-Gyro” (bet thought long and hard about that one), it seemed to be a very stable aircraft in level flight but if you started to play with the stick you’d soon find out that it could be as manoeuvrable as you wanted it to be, with the only disadvantage being that it can’t go negative g with out losing its lift. One of the biggest advantages is that it can’t stall, the aircraft can fly at almost any speed, with it being able to even drop back to zero without the aircraft plummeting from the sky, instead it just gently drops giving you plenty of time to apply the power (I know I was nervous watching the air speed indicator steadily drop back to zero). 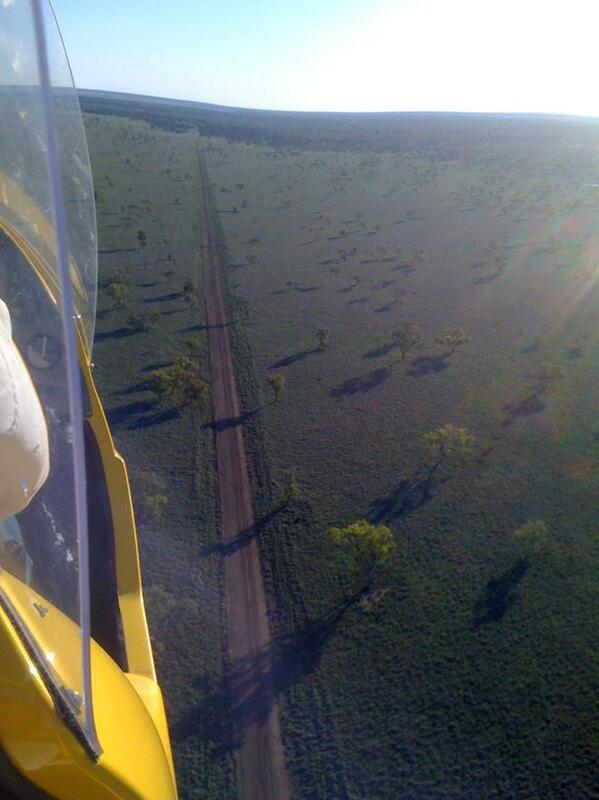 Another advantage is the incredible amount of visibility, the open cockpit and lack of wings allow for a brilliantly clear picture of the ground below as well as the surroundings making it easy to spot cattle, check fences and turkey nests. While the cockpit may be open the windshield keeps you well protected from wind and even the rain (so I’ve been told). The hard deck for a gyrocopter is 300ft above ground level (AGL) which is 200ft below a what RA-Aus registered aircraft will be allowed to do, however if you get a low level endorsement you can go as low as you want over your own property (you here some stories of the grass brushing the bottom of the aircraft). Cost factor has to be the biggest advantage of all as a brand new gyrocopter will only cost you somewhere $80k-$100k depending on the options you choose and has a running cost of about $60 a hour compared to the $400 a hour a R22 would cost. I believe the gyrocopter shows great potential for use on stations for mustering as well as other station duties, I’ve even seen you tube videos of one with a spray boom set up on it. But there is one thing I know for sure and that is I’m defiantly getting my endorsement when I can. As always feel free to leave your own thoughts and comments below, and enjoy the videos of some gyros in action.